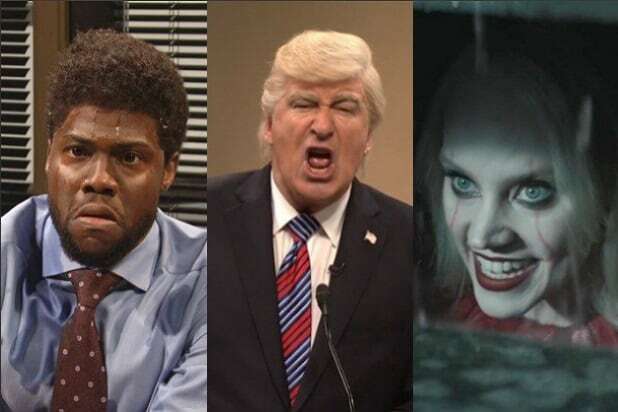 “Saturday Night Live” released a video showing off some of the lesser moments from the show’s star-studded hosts this past season, including missteps from Ryan Gosling, Donald Glover, Tiffany Haddish and Charles Barkley (who really could not get through his lines). The four-minute video, titled “Creating Saturday Night Live: Film Unit Outtakes,” shows off why most of the hosts don’t do live comedy, especially Sir Charles who ended every single flubbed line with the same word: “F—!” Other outtakes include Glover cracking up during the filming of “A Kanye Place” sketch. Also somehow, the outtakes for Aidy Bryant and Kate McKinnon’s wild “The Dolphin Who Learned to Speak” segment were weirder than what NBC actually aired. “Saturday Night Live” cast members breaking character during the show is one of the hallmarks of the NBC late-night series. But the show also does numerous pre-taped segments that allow cast members — and, let’s be honest, most of the hosts — to have something they wish they could get more of on Saturday nights: Take Two.